While hearing the Public Interest Litigation filed by four Koramangala residents including Vijayan Menon in 2015, the division bench of Chief Justice Dinesh Maheshwari and Justice S.G. Pandit issued oral directions to the Palike to complete filling 1600 potholes by the next day (September 20). The deadline was then extended to September 24 to ensure that there were no potholes on the roads, but the Palike found it difficult to accomplish the task, especially as the white-topping work was in progress. The HC appointed a commission consisting of Dinesh Agrawal, Head of the Military Engineering Services (MES) and Uma M.G, Member-Secretary of the Karnataka State Legal Services Authority (KSLSA) to check the claims made by BBMP counsel. 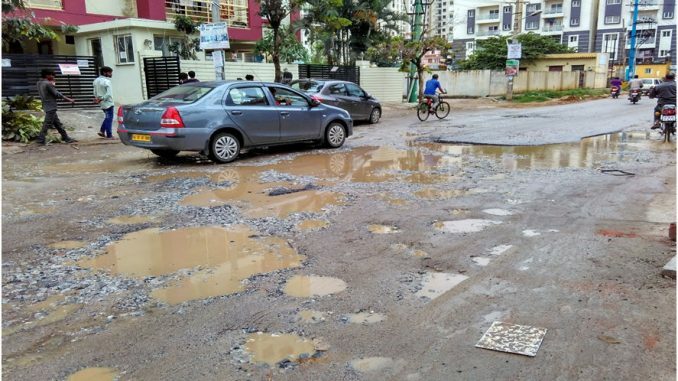 The inspections of two wards in Yelahanka zone revealed that the BBMP was passing the buck and blaming the BWSSB for failing to redo the road after undertaking work. The case has been adjourned till September 27th to allow the commission to inspect wards in Mahalakshmi Layout and Malleswaram. Chief Minister HD Kumaraswamy reduced the price of petrol and diesel by Rs 2 for all consumers in Karnataka, shortly after the nation-wide bandh in protest of rising fuel prices. This was initiated at short notice by bringing down the sales tax to 28.75% and 17.73% on petrol and diesel respectively. The CM made this announcement at the Hyderabad-Karnataka Liberation Day celebration in Kalaburagi on September 17th. The decision was taken after due consultation with the finance department to ensure that it did not result in losses for the state. On the contrary, Kumaraswamy had proposed a fuel price-hike in his budget to mobilize resources for the proposed farm-loan waiver of Rs 49,000 crore. Karnataka joined the bandwagon of states such as West Bengal, Andhra Pradesh, and Rajasthan which cut fuel prices within a week of the strike led by the opposition. Citizen activists from Whitefield Rising approached the Karnataka State Pollution Control Board on September 18th demanding the closure of Graphite India Limited (GIL), whose licence expired in June 2018. The chairman said that the license may not be renewed because of the company’s failure to comply with the norms in accordance with Central Pollution Control Board. Residents complain that soot generated from the factory gathers on roads, travels to nearby hospitals, causes air-pollution and darkens cutlery. The board failed to enforce the closure in 2014, because GIL was successful in attaining a stay order from the Appellate Court which agreed to let the factory function if it satisfied certain conditions. On an inspection for the case conducted last year, KSPCB found the company had only partially followed the court’s instructions. 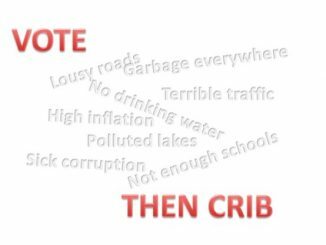 The unhappy residents contested the stay order at the Appellate Court, and then followed up the case at the National Green Tribunal, though that still remains to be heard. BJP MP PC Mohan encouraged residents to file a criminal complaint against the rule-flouting company. Whitefield Rising has thus started the process by filing a petition at the local police station to shut the factory down, and asked for transfer of the case to the Delhi NGT bench to avoid further delay. On the evening of September 19th, member of ecological organisation United Bengaluru, Lakshmikanth M, tweeted this video capturing a BWSSB vehicle dumping sewage into a storm water drain, located close to Hosmat hospital. Within a day, the video had received more than 1000 views. The minute-long footage shows the vehicle displaying the registered number plate KA 53B 3472. BWSSB credentials are easily identifiable, and the authorities were also implicated by the driver’s casual explanation that the filth was being brought here upon clearance of a sewage line in the vicinity that had developed a block. NR Suresh, Convenor of United Bengaluru, said that the NGT imposed a penalty of Rs 5 lakh on people or organisations that dumped pollutants into drains. How to find your name in the rolls? What if you don’t have an EPIC/voter ID card? How to find your polling booth? Who are the candidates? How to select the best? With the Bengaluru council polls due this year, the State Election Commission has put up a website where you can search for your name on the electoral list, but only those who registered for the Lok Sabha polls.